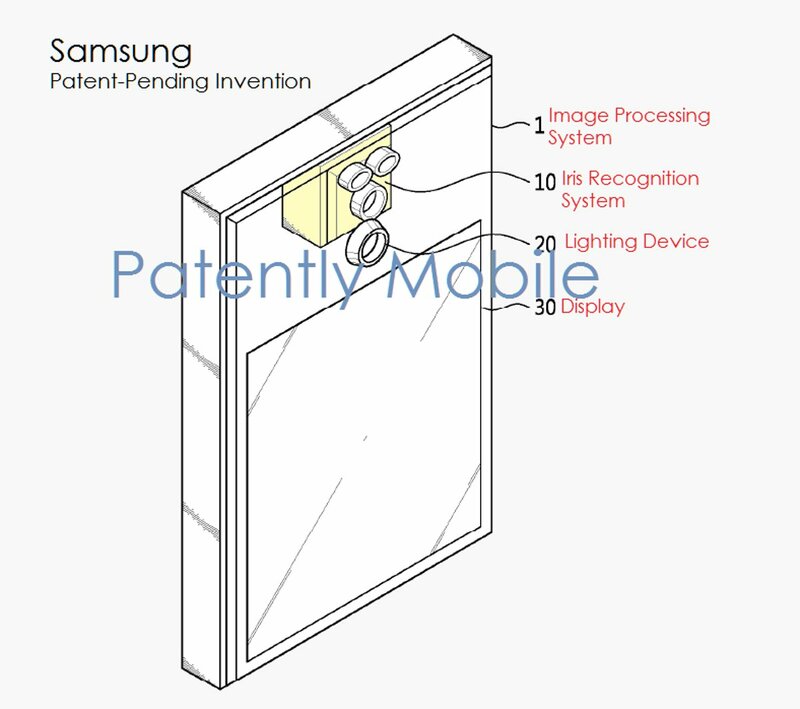 A new patent from Samsung reveals the company’s plan to use multi-camera iris recognition system. In addition, Samsung has also filed for “Galaxy Iris” and ‘Galaxy Eyeprint’ trademarks recently. This new Iris scanner is reportedly developed by Samsung along with ‘Industry Academic Cooperation Foundation – Yonsei University’. 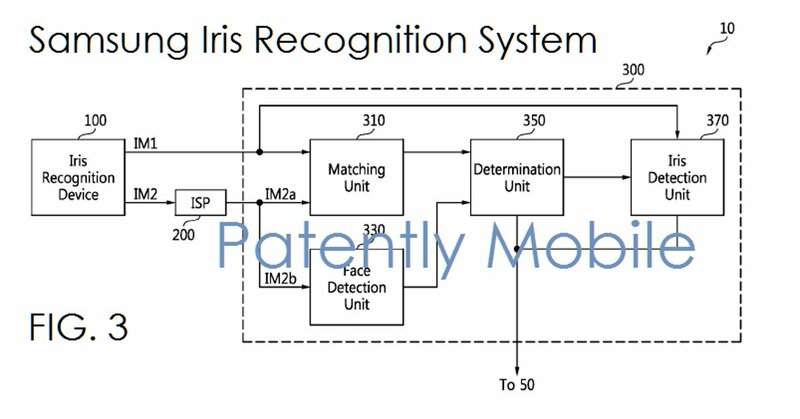 This new patent shows an image processing system and an iris recognition system with 3 lenses. Also, keep in mind that this is not a design patent. In other words the image is just to explain how it works and not the actual design of smartphone. The patent filing notes that “The iris recognition system #10 may generate an image signal by capturing images of the face and eyes of a user which are in a field of view for the iris recognition system”. The patent further explains that the system will use three lenses to capture the image. It then checks the iris of the user based on the image generated as well as other information. In addition, we can also see the infrared lighting device that is under the control of the Application Processor (AP). 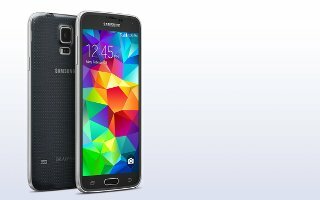 Also, the AP may control the iris recognition system to operate in a front camera mode or an iris recognition mode. 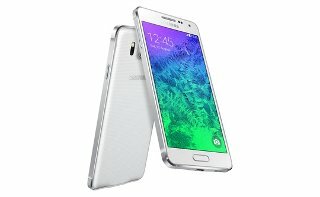 Samsung further explains that if the Iris scanner fails to recognize the user, then a voice message will be issued with guidance on the display to retry the scanner. This new Iris recognition system can be used in various devices including PC, smartphones, tablets, laptops, Internet of Things (IoT) and Internet of Everything (IoE). You can read more about the new system by visiting the source link. i heard that apple already have this. is that true?